We continued on our drive to Bovec. As the sun lowered behind the mountains we stopped for the view from the Italian military sanctuary built atop a hill that overlooks the town. 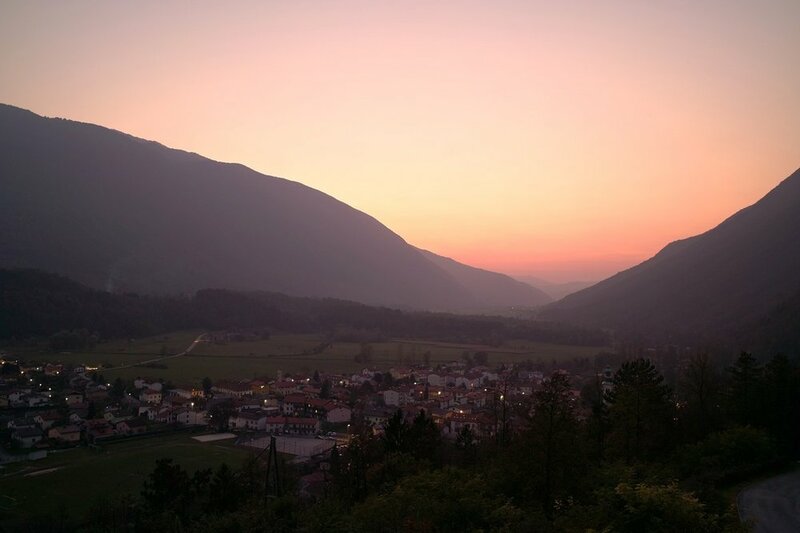 After we arrived at Boštjan’s family’s place in Bovec we all took a drive in the dark up to the Kanin ski mountain and enjoyed the stillness of the night. It was a clear, cold night with a bright moon.